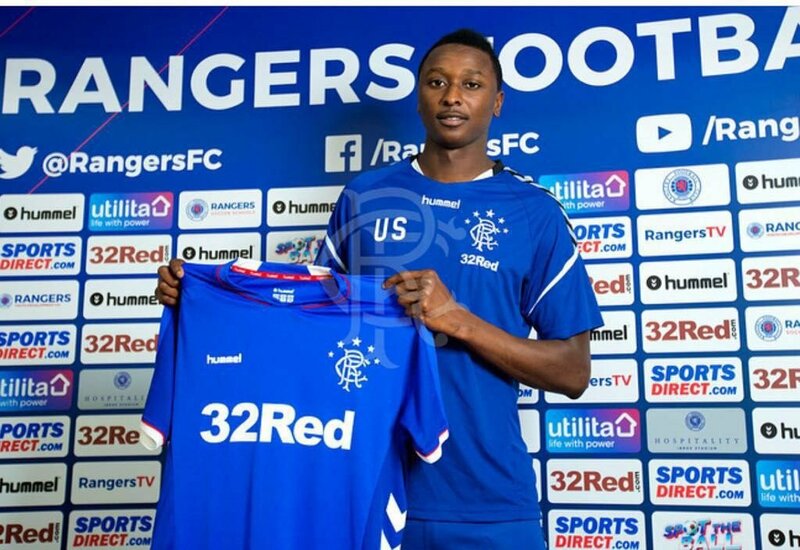 Rangers have confirmed the signing of Nigerian striker Umar Sadiq on a season-long loan, pending international clearance. The 21-year-old – Steven Gerrard’s ninth summer signing – impressed for NAC Breda last season, scoring five goals in 12 matches for the Dutch outfit. He has also netted twice in six appearances for the Roma first team. Nigerian forward Sadiq began his career in his homeland before joining Spezia in Italy’s Serie B. A loan spell with Roma in 2015 convinced them to sign the 6ft 3in attacker permanently. After a series of good performances for Roma’s youth side, he broke into the first team at the age of 18 in November 2015, scoring his first senior goal two months later. He then spent time on loan with Bologna and Torino and at the 2016 Olympic Games, grabbed two goals in the third-place match against Honduras, with Nigeria’s 3-2 win sealing the bronze medal. Recall that another Nigerian, Sone Aluko has in time past played for Rangers.